Mouse anti Human EBAG9 antibody recognizes the estrogen receptor binding site associated, antigen, 9, also known as cancer-associated surface antigen RCAS1. The EBAG9 gene was identified as an estrogen-responsive gene. Regulation of transcription by estrogen is mediated by estrogen receptor, which binds to the estrogen-responsive element found in the 5'-flanking region of this gene. The EBAG9 protein is a tumor-associated antigen that is expressed at high frequency in a variety of cancers. Alternate splicing results in multiple transcript variants. A pseudogene of this gene has been defined on chromosome 10 (provided by RefSeq, Jul 2013). 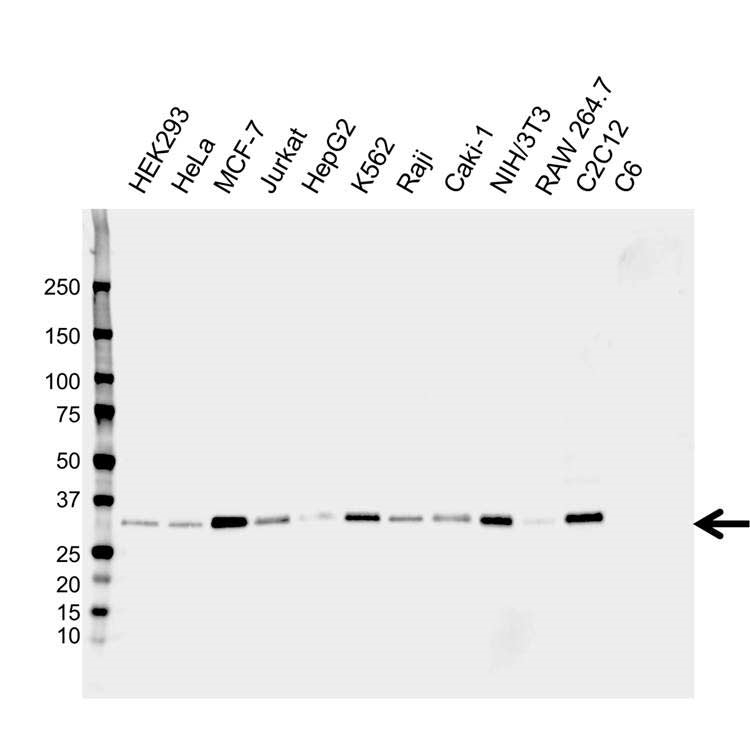 Mouse anti Human EBAG9 antibody detects a band of 30 kDa. The antibody has been extensively validated for western blotting using whole cell lysates.